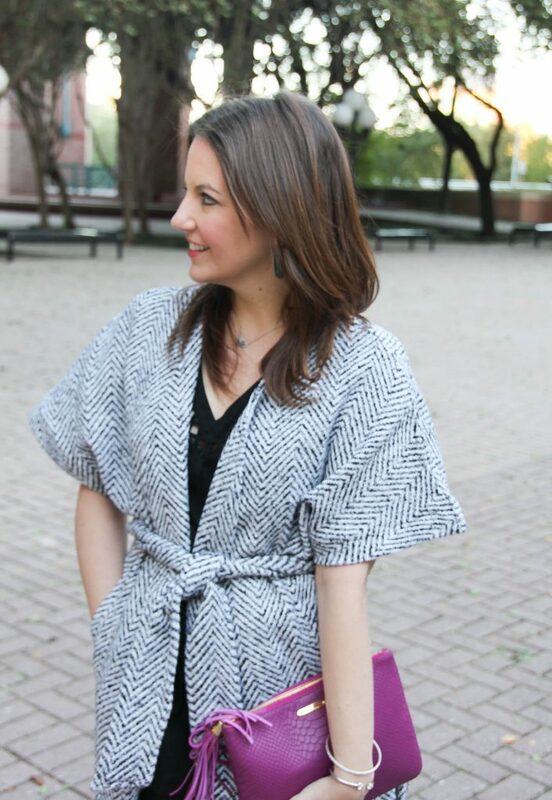 I picked this fabulous wrap coat up at the Nutcracker Market last month. I typically don’t buy clothes for myself from the market, but I do always stop by Chloe Dao’s booth. She is a local Houston designer who happened to win Season 2 of Project Runway. Chloe was my favorite designer that season and not just because she was from Houston. I love the fit and structure of her designs. 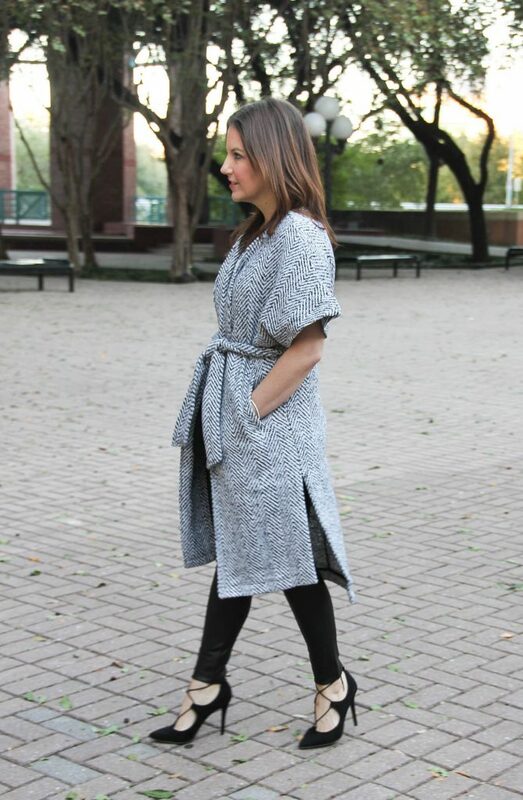 Since it’s only super cold for about a month in Houston, I love the idea of a short-sleeve wrap coat for winter. What I loved about this one is that I immediately pictured about 3 different ways to style it. 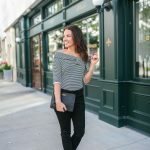 I love styling it as more of a statement top with leather leggings for a chic holiday party look. At the market, Chloe tied it for me a little higher above my waist in a bow. It was really cute, but I haven’t quite been able to replicate it yet. I’m practicing though. A couple other ways I would wear this style coat is over a simple solid color sheath dress. You could tie it or leave it open to create different looks. I wore a plain tee, distressed jeans, and flats to the market, and it looked really cute with this coat worn more like an open long cardigan. One important thing to keep in mind if you plan on wearing your coat as part of your outfit, make sure what is underneath is still cute if you need to take it off. 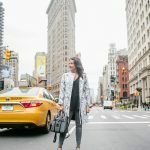 In this post, my leather leggings and black blouse can still stand on their own as a chic holiday party look. Since I picked this up at the Nutcracker market, it is not available online. I did find a few similar styles for you though. If you are in Houston, Chloe has a boutique in Rice Village that you can check to see if still available. Thanks for stopping by ya’ll! Love that long coat what a unique piece! 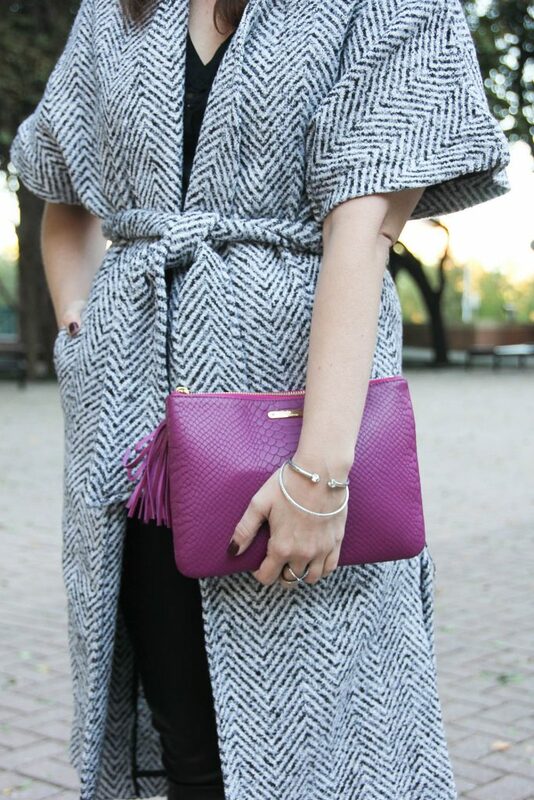 This is such a great wrap coat! I love the pattern and wide sleeves! 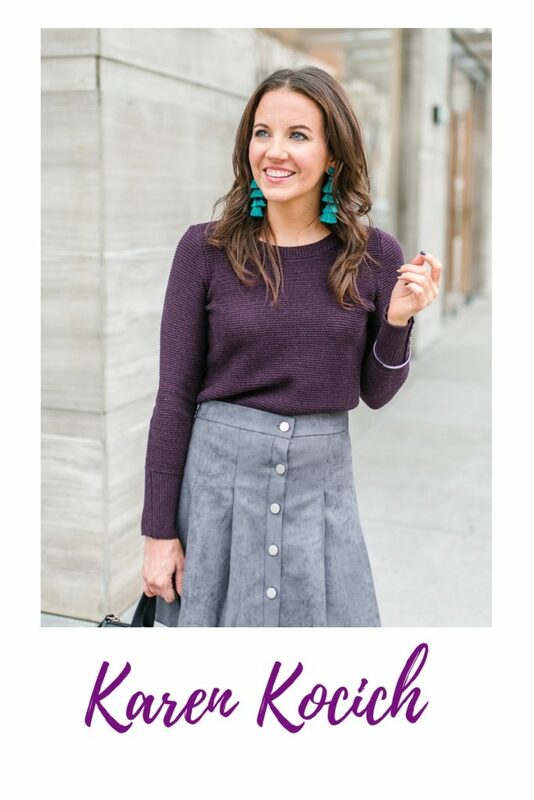 Totally cute for Winter and would be cute even when worn with a long sleeved shirt! Love it! Have a fab weekend! I always think a short sleeved coat is so interesting. Can’t wait to see the other things you try with it. Enjoy and thanks for sharing. Gorgeous coat, love the way how you put the whole outfit together. 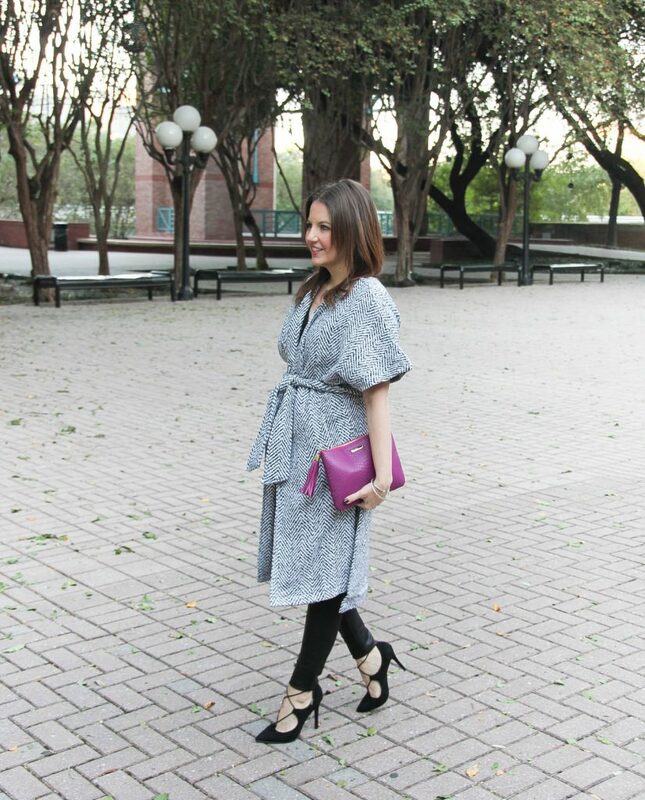 I just do ished my post for next week: a wrap dress! So this coat is perfect to me! what a fabulous piece! Gorgeous coat!! Love the cut and pattern. Styled beautifully too!